Simon Martin is a medically and dentally qualified Specialist Oral Surgeon and a member of the Royal College of Surgeons of England since 1991. He trained in Bristol and Bath where he has worked in Oro & Maxillo-facial Surgery, managing all aspects of oral-facial pathology and trauma. This includes reconstructive surgery using titanium dental implants. He has also worked in General Surgery, Accident & Emergency Medicine and Anaesthetics. 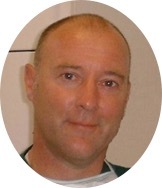 Simon has UK and international training in the use of most major implant systems. He placed his first implant in 1989 and has since developed his technique using titanium dental implants with the latest planning and surgical grafting. Simon is able to offer reassurance of optimal surgical care with intravenous sedation and pain control. He has a particular interest in the care and management of nervous or anxious patients. Dr Martin cherishes the luxury of all the treatment we offer and is a well-respected member of our team by both his colleagues and patients.